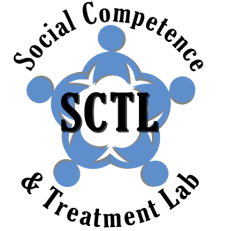 The core of my research program focuses on understanding the nature of peer relations and social competency deficits that emerge in childhood and adolescence. Incorporating contemporary methodologies including advanced quantitative methods (e.g., multilevel modeling, growth curve modeling), electrophysiology (i.e. EEG/ERP), and multi-method assessment (i.e., observational, diagnostic, and self-report measures), my research examines perceptual, neural, cognitive, affective, and behavioral underpinnings of social dysfunction and peer rejection in youth. For instance, I am interested in the interplay of EEG-indexed social perception and behavioral indicators of emotion perception in predicting observer- and self-reported social functioning. I also consider whether predictors of variability in such report across informants (self, teacher, parent, observer) provide insight into the nature of subjective social functioning across contexts. I have focused particularly on social behavior in children with autism spectrum disorders (ASD) and attention-deficit/hyperactivity disorder (ADHD). These children experience substantial peer-rejection, and understanding these processes in clinical population may provide insights into variability in social behavior in typically-developing children. Additionally, I consider these processes as a way to develop novel models and an empirical taxonomy of social deficits in youth. I use findings from this basic research to inform development of novel interventions to improve social competency in clinical and community settings. My work thus far has focused on effectiveness and efficacy studies examining existing interventions and novel interventions (e.g. Socio-dramatic Affective Relational Intervention) and considering relative effectiveness. I also focus on elucidating common factors that may underlie these interventions to identify essential processes and evidence-based intervention practices, as opposed to evidence-based treatmentpackages, thereby facilitating dissemination of comprehensible empirical treatment research. 1. Therapeutic Relationship (alliance). The relationship between the therapist and client has long been shown to be an important predictor of change in traditional models of psychotherapy. In my work, I examine this relationship in the context of interventions to to improve peer relations in ADHD and social skills in ASD to test a theoretical treatment model positing that therapeutic relationships may be effectively leveraged to improve social relationships. I also examine the effects of conceptually-linked therapeutic relationships, such as parent-therapist alliance, and within-group cohesion. 2. Intervention content/fidelity. Social skills interventions draw from a range of theoretically-driven models to effect change in social deficits. The relative contribution of these models, and their consequent intervention strategies as applied in the treatment context, has not yet been examined empirically. A significant component of my research focuses on examining existing interventions and deriving information about the relative contribution of different activity types (e.g. didactic instruction vs. in vivo practice) to clinically-relevant outcomes to better design and implement interventions. Relatedly, I examine fidelity and other component processes to hone in on "active ingredients" that are unique to or common across disparate interventions. 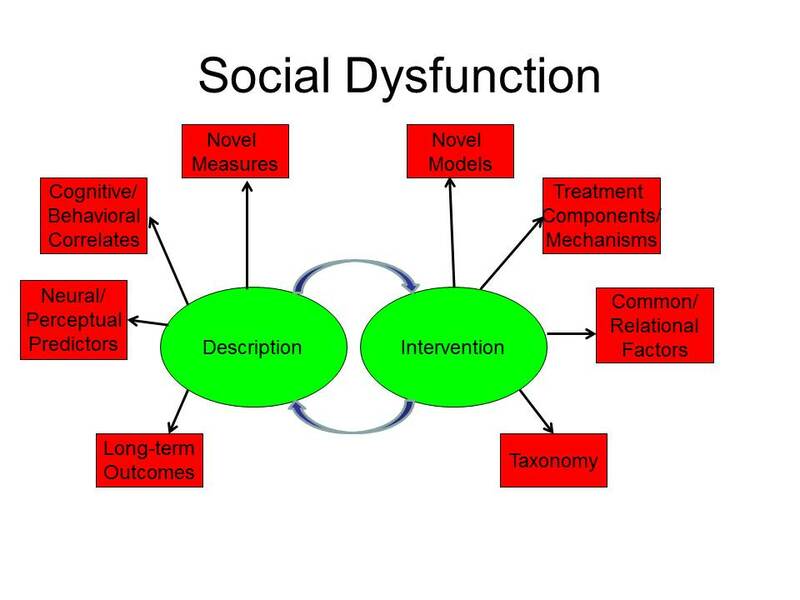 I subscribe to the biopsychosocial model of functioning and behavior; as such, I believe it is vital to understand and model the unique neural processes that underlie and sustain functional deficits, including social behavior. I thus employ methods from affective and social human neuroscience to elucidate the neuroplastic processes underlying social problems in autism spectrum disorders (e.g. abnormal temporoparietal junction functioning in fMRI during Theory of Mind tasks; delayed N170 ERP latencies when observing faces) as both indices of social perception and cognition, as well as targets and moderators of outcomes for intervention.